Convention is open to EVERYONE whether you are user, sharer or builder! The word is out, dōTERRA Convention 2017 tickets are about to go on sale, and we cannot wait to join you September 6-9, 2017 in Salt Lake City Utah. Ticket sales will go live Monday, March 20th at 9:00 A.M. MT. With so many tickets already pre-sold at last year’s convention we have no doubt we will sell out of this event quickly. Activity tickets will also be made available for Gala and Campus Tours. We are continually doing our best to fit as many people at these activities as possible, but they will sell out quickly. · Please note, each ticket will require an individual email address to register. · Once tickets are sold out you can add your name to our waitlist. If we have people cancel we will offer those tickets to the waitlist beginning with the first person on the list (1 per person). 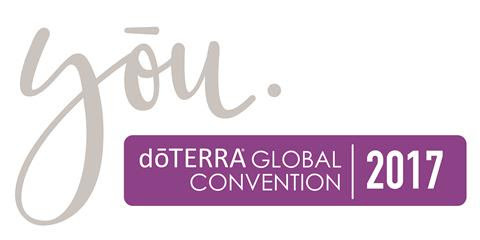 To book within the dōTERRA Room Block, please visit the convention website under “Travel”. Salt Lake County has just over 17,000 hotel rooms located throughout downtown and the surrounding areas. The dōTERRA Room Block sells out very quickly. If you are trying to book a hotel room for your convention stay and are unable to fill the requested dates through the block there are other great options available. We will see you in September in Salt Lake City, Utah!